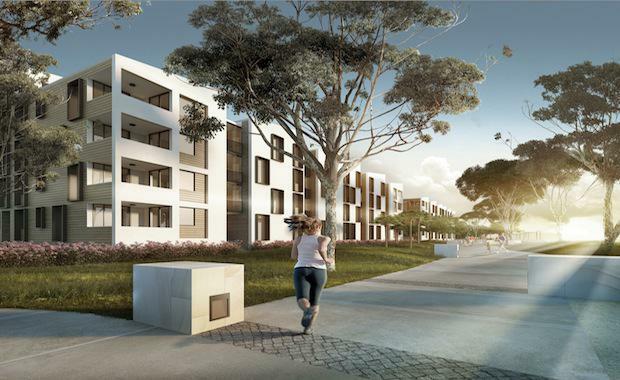 Sekisui House have teamed up on an ambitious $450 million project to transform a former Defence Force housing site into a luxury housing estate. Royal Shores development is ideally located in Ermington, is just 19 kilometres from Sydney’s CBD and just 5.5 kilometres from the cultural hub, Paramatta. The first two waterfront buildings at Royal Shores, Safari, will be launched on Saturday, March 7 and the twin six-level buildings cater for a variety of tastes and budgets, with apartments ranging from one bedroom up to four bedrooms. With the high pressure of housing demand, the development aims to make efficient use of the site with cleverly configured floorplans that provide well-proportioned rooms with inventive storage solutions to make the most of the space. Rhys Morgan, Sales Director of Link Marketing Services claims that the development offers potential buyers a personalised experience of modern suburban lifestyle due to the innovation of the architecture. “Within each Safari building is an ‘inner sanctum’ – internal courtyards that allow light and air into the apartments,” Mr Morgan said. Amidst the innovation in its design are features such as suspended tree-top walkways, raised bridge entries and ‘all seasons’ rooms in the hope of evoking a ‘maritime flavour’. “It is on the water, surrounded by beautiful parklands, serviced by well-developed infrastructure, with the nation’s finest sporting and entertainment venues of Sydney Olympic Park just across the way,” Mr Morgan said. shortlisted for the 2014 Sydney Design Awards, and has already seen its internal streets and cycleways built.